Coins have been counted, expenses have been tallied, and numbers have been crunched. It looks like the Girl with the Tree Tattoo will not be entering the 2016 Emerald Ball. Or any other competition for the rest of the year, unfortunately. Yes, I got a tax refund. It would have paid for entry fees and hair and makeup. But I knew I was in trouble when my spreadsheet revealed that it would take me well into July to pay Teacher’s fee for Emerald Ball, which happens at the end of April. I’ve made late payments before, but yikes, that was really pushing it. As I write this, I don’t feel depressed about my competition season ending right after it started. I’m really excited to see my friend! Plus, ironically, a couple good dance lessons this week have left me with some positive vibes. Try as I might, I just couldn’t make everything work. Frustrating, but that’s life. Situations like this one remind me how I’m set apart from a lot of my fellow pro-am competitors. 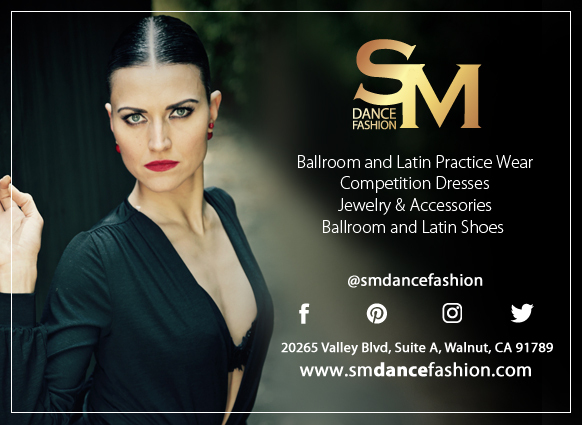 I know a few students from the Ballroom Village and from my studio who have to deal with similar issues, but most student ballroom competitors don’t. If extra expenses come up during the year, maybe the purse gets a little light, but they don’t have to choose between those expenses and their planned competitions. I’m constantly walking a tightrope in order to compete. Of course, I wouldn’t do it if it wasn’t 100% worth it! But every lesson and every entry at a competition has to be carefully planned for. The benefit to this precarious existence is the greater appreciation I gain. Some people will enter an extra round of single dances at a comp “just because” or as a warmup to the rounds they really care about. At $40 a pop, every single dance is important for me. There are minimal chances to “get it right the next time” because I can afford to enter only a few rounds. Each one holds greater significance, as does each competition. Before, California Open was a great start/comeback for me. Now that it looks like it will be the only competition I enter until next year, I’m even more grateful that I had the chance to do it and that I felt so successful. I thoroughly enjoyed my time here, and I’m sorry I couldn’t stay longer. I hope that one day I’ll be in a financial position where I can enter extra rounds just because I want to. I work hard to get to that future. For now, I try to make every moment on the dancefloor count. A noble goal, but this mindset probably adds to the pressure that I put on myself to not screw up! Hmmm, I guess I still need to find a balance there. Teacher was understanding and supportive when I gave him the news. I don’t think he’s giving up on the idea of another comp in 2016. My demons had whispered that I won’t matter as much if I’m not competing. That I won’t belong. Thankfully, I have a teacher who gives me plenty of evidence to prove my demons wrong. There are plenty of goals we can work toward that don’t carry the same cost as competition. And who knows, there are still 9 months left in the year! A lot could happen. I’m still offering editing and assistant work and am always on the lookout for new opportunities. It’s not like I’ll be stuck on the sidelines for the rest of the year because of something like my car breaking down (knock on wood!). I’m just spending it on other awesome things like seeing my best friend’s new baby and visiting family for the holidays! I just can’t do it all. At least not yet. I always seem to figure something out, don’t I? Why should 2016 be any different? As tough as it is to give up competing for a while, it’s awesome that you know when it’s time to say no — you have other events in your life that need attention, too, like your friend’s new baby! You don’t want to miss out on everything else in life for ballroom. That said, maybe you’ll win the lottery or something and you’ll be able to enter after all 🙂 You never know what will happen in the next nine months, like you said! Although there are different things to look forward to … friends,family and new life all seem just as good reasons… Really hope you can make it work for at least one more! Here’s to not giving up… and staying positive! I just got back from my first comp, and I was shocked during the banquet when they announced the winner of Top Student, who had danced in THREE HUNDRED heats. We sat at our table and did the quick mental math and realized that this woman just spent the price of a new car on a weekend-long dance competition, and that was just the cost of her entries, no pro fees, hotel, gowns, makeup, hair, etc etc! That’s some crazy money right there. I I know I won’t be able to compete as often as I would like (which is all the time, the bug has bitten me so hard), so I’m trying to think of other ways to get that buzz that might be less pricey. Smaller intra-studio competitions? Showcases or other performances? I’ve also discovered that collegiate competitions are WAY less expensive and often open to the public. I don’t know if your instructor has limits on which competitions he can attend, but maybe that is a way to keep the comp buzz going without the higher cost of some of the bigger comps?